Planning your team's formation is important! Find the right formations to get the best bonuses and improve them with upgrades. Upgrades for front line mercs include HP, PDEF, and MDEF. 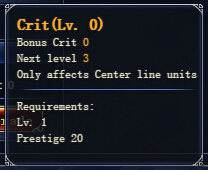 Center line mercs get upgrades for PATK and Crit. 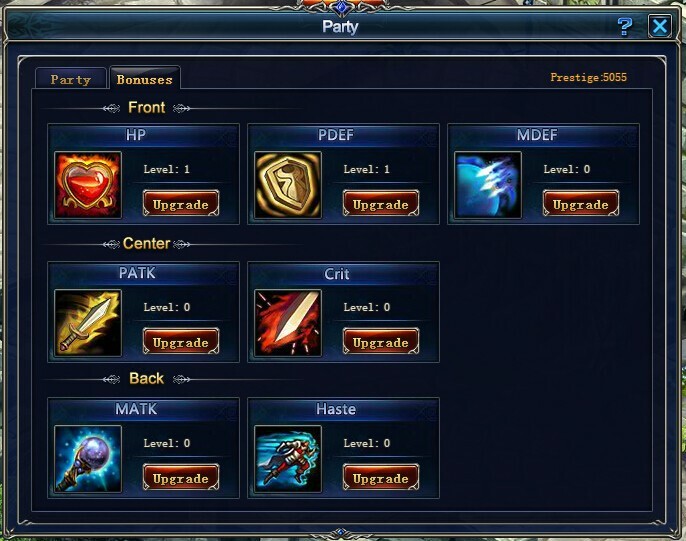 Back line merc upgrades are MATK and Haste. Since getting Prestige isn't easy, you'll have to think carefully about where you place your mercs to get the best bonuses.